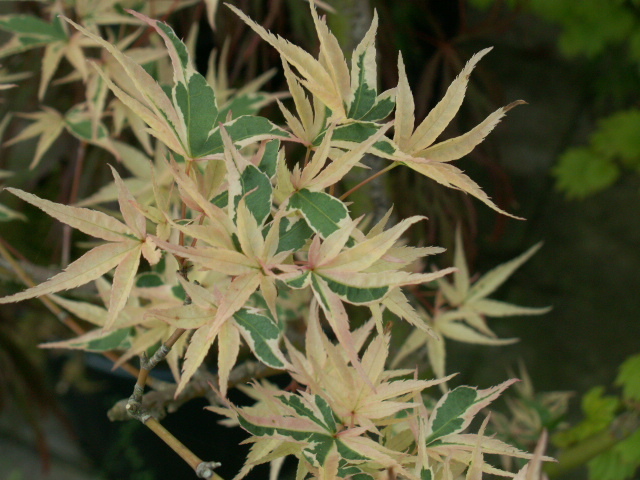 One of the nicest variegated trees with small green leaves with salmon/pink margins. 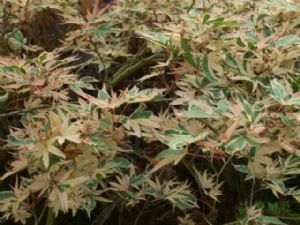 A small dainty shrub only growing 5ft in ten years. We have found more and more salmon/pink appears as the tree gets older.